Just regular folks. : Ice, Christmas cards, Americone dream. Icy here! 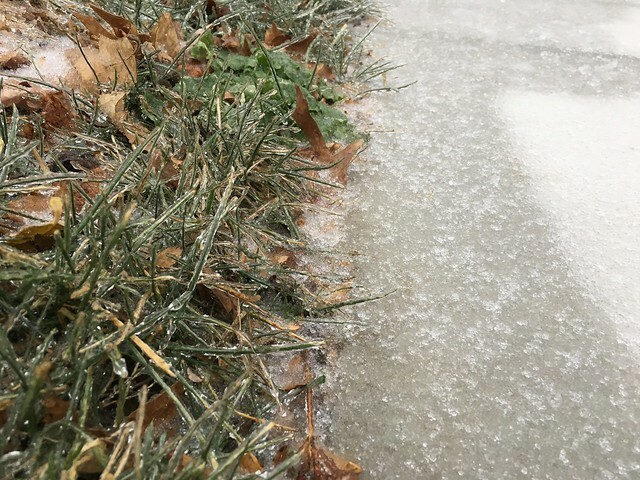 Freezing rain last night left a half-inch layer of ice on all the sidewalks and driveways. I thought it would melt quickly as the temps were suppose to rise in the afternoon, but the rise was very slow so it's still icy out right now. I spent some time today working on holiday gift cards to all of Team Edda and Team Vince. Both teams seemed to have expanded greatly this year, especially Edda's out-of-school care team. We went from one au pair to two evening care-givers and a staff of 8 or 10 at her after school program. Finally, Jeremy got home today at 7pm. 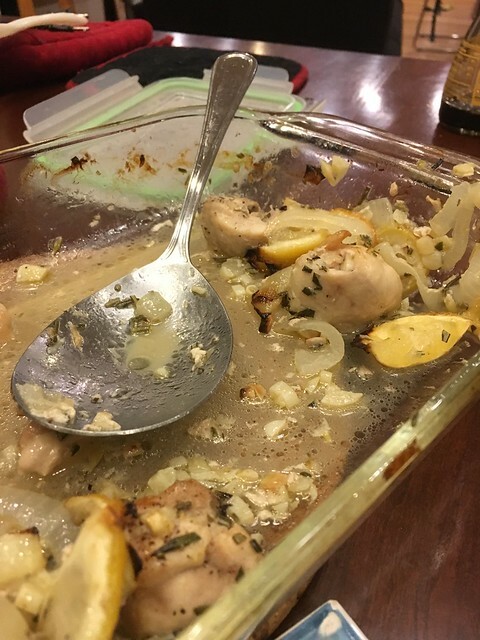 I made dinner: a baked chicken dish with rosemary, garlic and lemon. I don't know what happened, but in the past year, when faced with having to prep meals for myself (weekday lunch) or the family (usually when Jeremy is out of town), I've switched from always longing to go out to eat (even though I might cook dinner at home) to preferring to just find what's in the pantry and try to make something (usually tasty). It's not really an economic thing, it's just what I find more comforting now. Jeremy had a long, frustrating week in Portland. 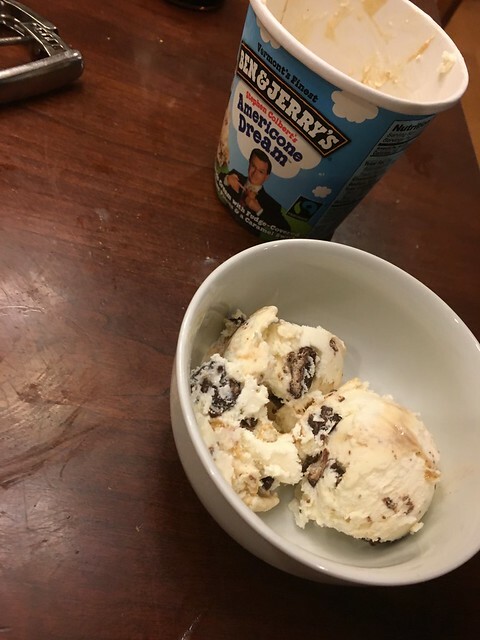 In order to make stuff better I got his favorite ice cream flavor.